Citation: C N Trueman "Julius Martov"
Julius Martov played a lead role in the years leading up to the Russian Revolution. Martov was born in 1873. Like many of the early revolutionaries, Martov came from a middle class family. He became of close colleague of Lenin and, despite his more privileged background (when compared to the bulk of Russia’s population) he was appalled at the lifestyle of the poor in Russia. In 1895, he formed the Struggle for the Emancipation of the Working Classes. His association with what was deemed a revolutionary party (the title was enough to draw the party to the attention of the authorities) meant that he had to leave Russia and he lived in exile for a while. He joined the party that most attracted the other revolutionaries who had either fled Russia or who, for their own well-being, had gone into voluntary exile – the Social Democratic Labour Party. The clash was debated at the 2nd Party Conference in London and Martov won the vote on the debate by 28 to 23. Those who supported Lenin became the Bolsheviks and those who followed Martov became theMensheviks. Famed early supporters of Lenin were Stalin, Zinoviev and Kamenev. Early famous supporters of Martov were Trotsky and Plekhanov. In 1903, Martov and Lenin fell out over how the party should proceed. Lenin wanted the party led by a small group of skilled and, by the nature of what was required, educated men who would lead the majority. Martov wanted the party opened to everyone who was interested in helping the party in its organisation. As the editor of ‘Iskra’ (from November 1903 to October 1905), Martov used this position to attack Lenin and his beliefs. Plekhanov and Trotsky helped him with this. Martov wanted to organise the Mensheviks to develop a series of networks within Russia to organise opposition to the Russian government. This included linking up with trade unions, soviets, co-operatives etc. However, such a series of networks left the organisation open to infiltration by government agents. From Lenin’s point of view, a small, tightly knit party would be far less open to this serious problem. 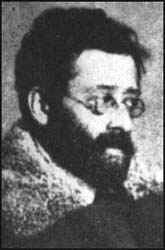 Martov, along with many socialists, was a great opponent of World War One. During the war, he contributed to the production of a newspaper called ‘Our World’. After the March 1917 Revolution, he returned to Russia. In theory, no Menshevik should have joined the Provisional Government because the head of it, Alexander Kerensky, wanted Russia to stay in a war that Martov was greatly against. However, by the time he got back to Russia, some Mensheviks, such as Fedor Dan, had joined Kerensky. At a meeting of other Mensheviks in June 1917, Martov failed in his attempt to get the party to support the belief that there should be an immediate end to Russia’s involvement in war. Such was the fallout between Martov and Lenin, that Martov was not invited to join the Bolshevik government in November 1917. Martov continued to lead the Mensheviks in the failed Constituent Assembly until the assembly was dispersed by force by the Red Guards. In 1918, along with other political parties, the Mensheviks were banned. However, during the civil war, Martov supported the Red Army in its fight against the Whites. Despite the dislike between himself and Lenin, it was obvious that Martov would support the Bolsheviks as the alternate was simply unacceptable. However, despite his support for a Red victory, Martov continued criticising Lenin because of his banning of political parties and newspapers. In 1920, Martov was forced into exile and he died in Germany in the same year.